Spawn is an anti-hero in the Image Comics universe because of his violent and dark methods of bringing criminals to justice. Before becoming Hell’s General, Al Simmons was a highly respected government assassin. After years of killing, Al began questioning his purpose and the immoral motives of his superiors. This ultimately led to his own assassination, but Al’s new superior Malebolgia, recruited him to collect souls for his army which would eventually be used to wage war on the Heavens. Even having powers of demonic origin, Spawn has even proved himself worthy to Heaven that he fights to protect the innocent. 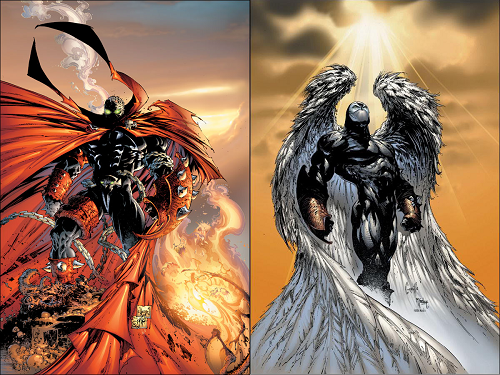 Because of this, Spawn began taking on a more angelic form in his armor. 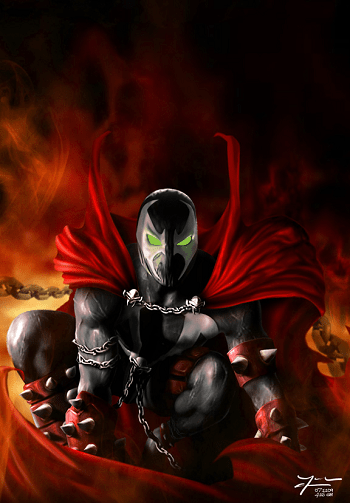 Spawn is one of many comic characters to make it to the big screen with the 1997 New Line Cinema film. The film expressed the comic better than most comic film for they are loosely based on the comic story. What makes the Spawn movie a success, was the creator Todd McFarlane . Todd insures his fans are getting exactly what was expected from his comic book and not an altered version. STAY TRUE TO THE FANS! This is an important quality Todd McFarlane has. Todd has been actively involved with bringing his character from the drawing paper, all the way to directing and producing the featured film. Todd McFarlane is remaking the film with Jamie Foxx starring as Al Simmons. Do you think Todd should really remake the story on screen or continue with the story he began with in 1997? Why redo a classic?? 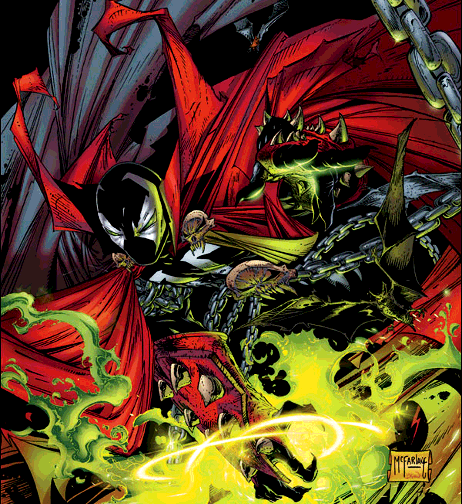 Spawn has even been involved in a crossover with the DC Universe, battling against Batman. 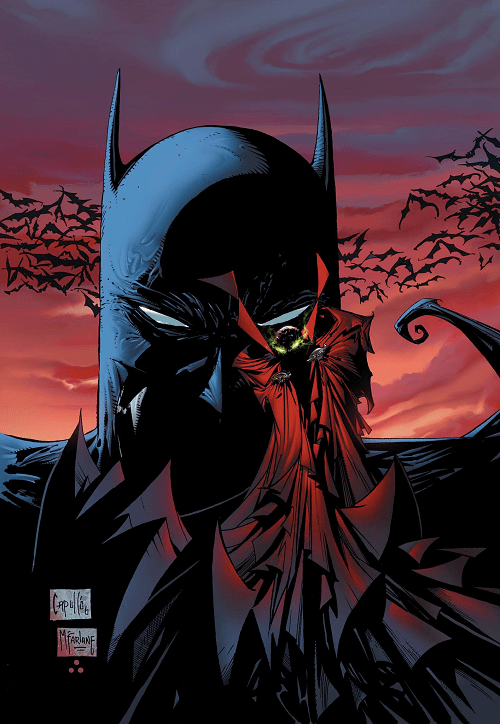 Many comic fans feel despite Batman’s resilient mind, he is no match for a supernatural power of Spawn, or even Dracula. Would Batman stand a better chance against the dark forces with the Sinestro Corps Power Ring at his disposal?? To Be Continued….. Comic Multiverse fan favorite artwork of Spawn goes to DevianArt artist, codename: v2-6 Excellent crossover work!